“I have called you together, gentlemen, to communicate to you a most unpleasant piece of news: an Inspector is coming to visit us,” says Anton Antonovitch, the corrupt mayor in Nikolai Gogol’s The Government Inspector, one of Russia’s most famous and beloved plays. The plot revolves around the arrival, in a provincial town, of a foppish young man who is mistaken for an important government official working undercover. On a clear March night at the Russian Drama Theater, in the Crimean capital of Simferopol, the lines have an added resonance. “A Government Inspector, from Petersburg, incognito; and with secret orders,” says the mayor. Arrangements need to be made quickly. Two policemen in combat fatigues stand at attention nearby, ready to carry out orders. There are whispers and chuckles in the audience. Gogol’s play sounds strangely familiar, as if art and life were indistinguishable from each other. Two performances seem to be taking place in parallel: one inside the theater and another one in the streets outside, where soldiers in green balaclavas and no recognizable insignia—incognito, so to speak—have just arrived. The Crimean Academic Russian Drama Theater is an imposing, gray, neoclassical building at the intersection of Pushkin and Gorky streets, just a stone’s throw from the Crimean Parliament. 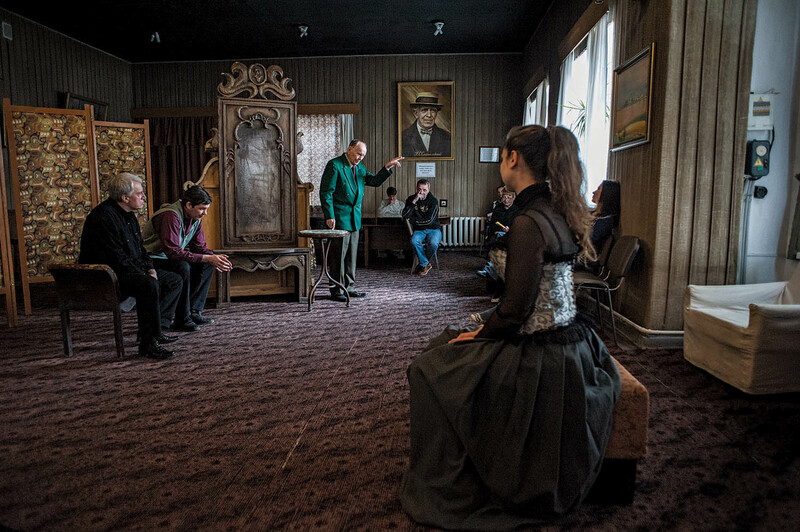 It was founded nearly two centuries ago, when an ailing Moscow merchant, visiting the peninsula on the advice of his physician, decided to dispel his boredom by starting a theater company in a modest, stone barn. It soon became the center of town life. Over the years, the barn was expanded, then replaced by newer structures. Today the theater complex covers almost an entire city block. 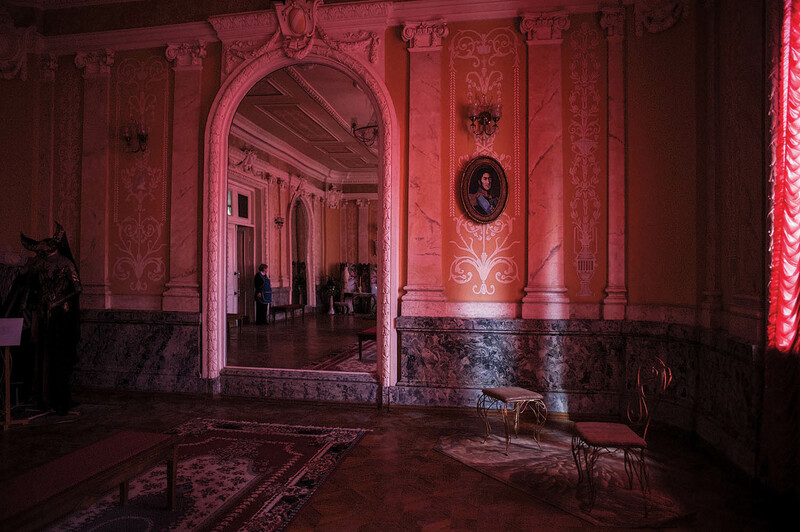 With six stages of various sizes, ballrooms with frescoed ceilings and crystal chandeliers, marble staircases, and corridors flanked by oil paintings, it could rival any royal or presidential palace—and it may as well be one, since it is ruled by the will of one man, a theater director named Anatoly Novikov. “I like to impose myself,” Novikov says, sitting behind an enormous desk in his spacious apartment-office at the theater. “You have to be on top, otherwise you’re nothing but protoplasm floating down the current.” Eighty-seven years old, dressed in a dark-green, double-breasted suit and purple necktie with a gold pin, he projects an air of elegant, incontrovertible authority. He refuses to bow even to age: His hairline may have receded, but he dyes his comb-over black, and his smile reveals a perfect set of white teeth. The hearing aid in his right ear seems to be a ruse, since he can choose to hear with or without it as he pleases. If Novikov speaks with bombast about the survival of theater, it is largely because he is a survivor himself. 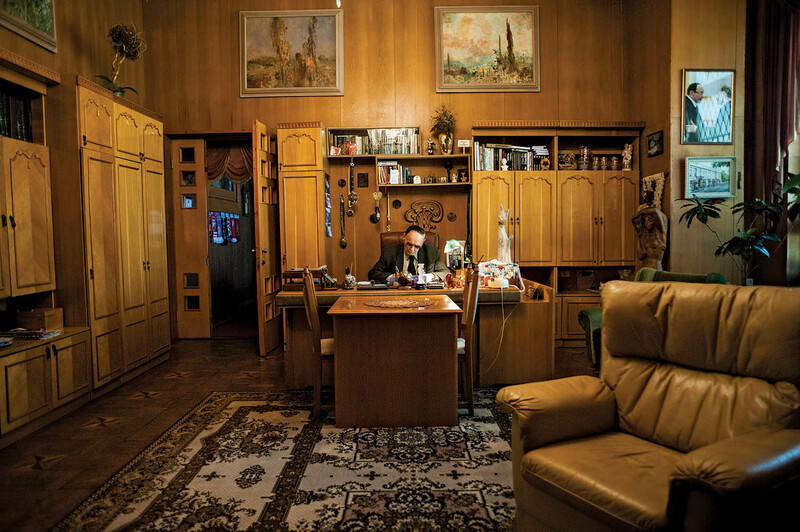 Born in the Donbas area of eastern Ukraine, as a child he lived through the mass famine of the early 1930s triggered by Joseph Stalin’s decision to confiscate all the grain from the countryside. He managed to survive the Second World War partly because two Nazi officers lodged in the family house and offered him and his parents a modicum of protection, as well as food. Today Novikov continues to direct and act and has played every major role in the theater’s repertoire, from the town mayor in The Government Inspector to Monsieur Woland, the demonic mastermind in Mikhail Bulgakov’s The Master and Margarita, who arrives in Moscow and upends everyone’s life, appearing differently to different people. The latter is his favorite character—he calls Woland “my guardian”—and indeed there is something devilish in Novikov, an ability to manipulate people by assuming a variety of roles. He can play friend, lover, joker, teacher, politician, and—best of all—tyrant. Over the years, the theater’s staff members have jokingly called him Pinochet and Aya-Tolya Khomeini (a play on his nickname, Tolya). In their private conversations, some of the actors refer to him as “Daddy,” and he, in turn, calls them “children.” When, in 2010, more than a dozen theater workers rebelled against him, he fired the leaders immediately; when he quit smoking, the whole theater became smoke-free. Like a Machiavellian prince, the man is both loved and feared. Novikov knows the meaning of his power, and he likes to show it off. In his office, an oriel with tall stained-glass windows throws colorful patterns across the floor. There are large sculptures of women and cats made of tropical woods, decorative sabers and knives, and what, during the Soviet Union, must have been expensive furniture available only to the Communist-party elite. Icons and paintings hang on the walls, including heavy wood-carved portraits of Jesus and Shakespeare. Among his numerous accolades is a framed letter by the recently deposed president of Ukraine, Viktor Yanukovych, congratulating Novikov on his birthday. Another letter by Dmitry Medvedev, the former president and current prime minister of Russia, praises him for “preserving Russian culture in Ukraine.” Near the windows, an enlarged photograph shows Novikov in intimate conversation with Russian president Vladimir Putin. 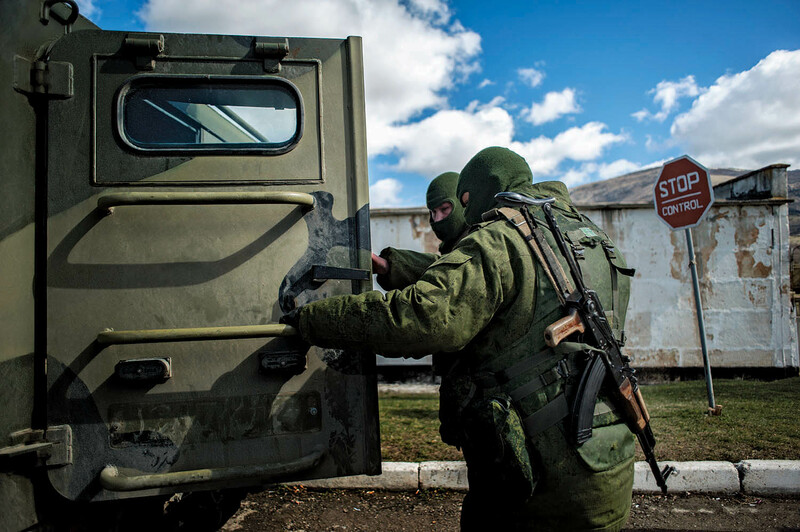 When masked, heavily armed troops (“little green men,” as they were called by the Ukrainian media) invaded the Crimean Peninsula at the end of February 2014 and took control of government buildings, vital infrastructure, and transportation hubs, nearly everyone here knew what was later confirmed: These were Russian special-operation forces, sent in response to the coup in Kiev that had removed Yanukovych, a pro-Russian president, from power. Worried that Ukraine was slipping out of Russia’s centuries-old grip and moving closer to economic and political integration with the European Union, Putin acted quickly. 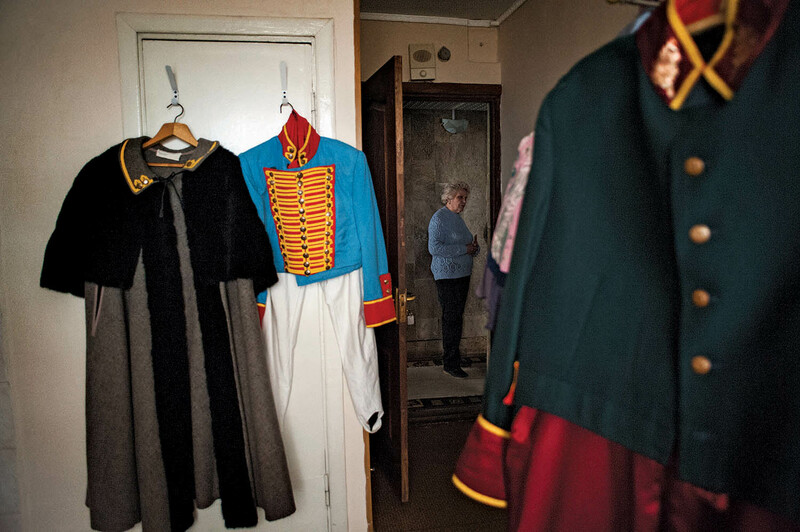 The peninsula had remained part of Ukraine after the Soviet Union’s collapse, but it was Ukraine’s most heavily ethnic Russian region, the home of Russia’s Black Sea fleet (based in the port city of Sevastopol), and a heartland of Russian culture. It was on the site of Crimea’s ancient colony of Chersonesos that Vladimir the Great—the ruler of Kievan Rus’, a precursor to Russia—accepted Christianity for himself and his state in 988 a.d. For Putin, Crimea was inherently Russian on all but paper, and the crisis in Kiev offered an opportunity to bring the peninsula back under Moscow’s control and reassert Russian geopolitical power in the region. 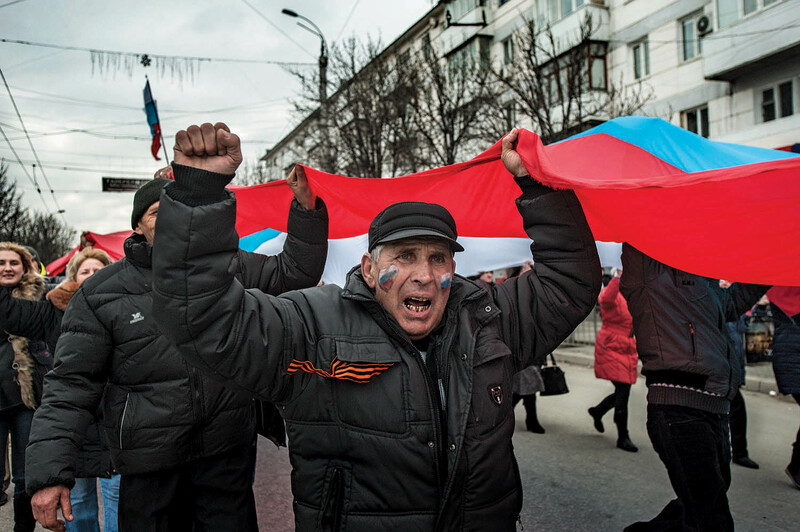 Crimea has fascinated the Russian imagination for centuries. Once governed by the powerful and terrifying Crimean Khanate, a Turco-Mongol vassal state of the Ottoman Empire, the peninsula became part of Russia in 1783, when it was annexed by Catherine the Great. If St. Petersburg was the empire’s modern “window to the West,” Crimea was the southern casement overlooking the classical world, an ancient land of fairy tales and oriental myth. With its verdant mountains rising out of a wine-dark sea, Crimea, along with the Caucasus region a bit farther down the coast, became a locus of inspiration for the Russian Romantic movement. It was an “enchanting region” and a “spot of fairy dreams,” as Alexander Pushkin wrote in “The Fountain of Bakhchisaray,” a long poem about the tragic love of a Crimean khan for one of his Christian captives. Drawn to its romantic aura, noblemen and artists slowly began to transform the region into a bohemian playground dotted with palaces and elaborate villas, casinos and bathing establishments and fashionable promenades that ran along the rugged coast. 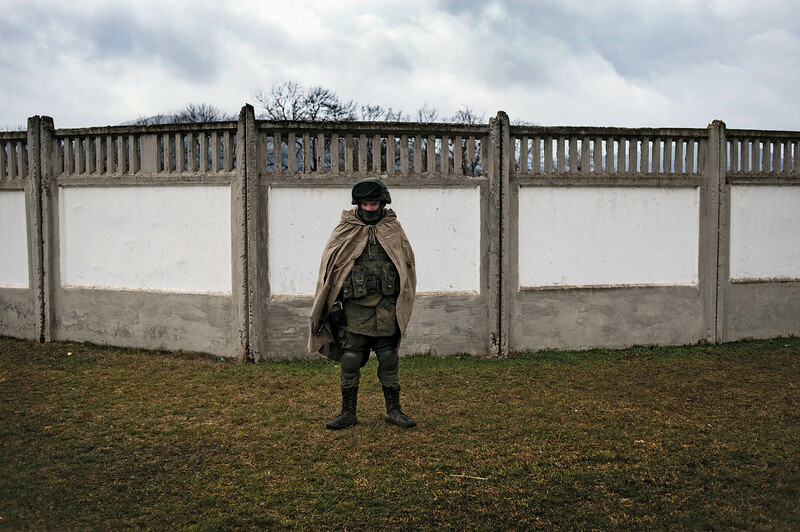 By the middle of the nineteenth century, Crimea had become “the garden of the empire” and “the Russian Riviera.” Peace was briefly interrupted in the 1850s by the Crimean War, in which Leo Tolstoy fought as an army officer. 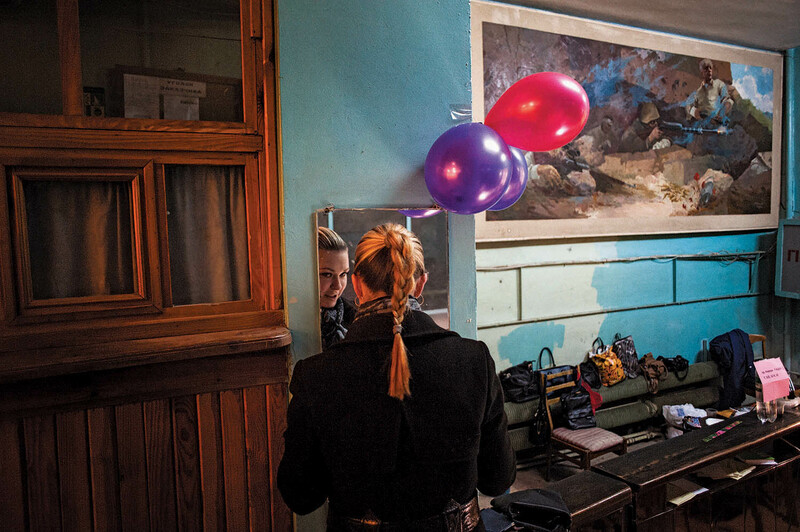 Despite the war’s devastation, Crimea’s romance endured and the peninsula eventually recovered. It was in the upscale resort town of Yalta that Anton Chekhov composed his famous plays Three Sisters and The Cherry Orchard. In the early twentieth century, in the seaside village of Koktebel, the symbolist poet and literary critic Maximilian Voloshin hosted many of Russia’s most talented writers, including Marina Tsvetaeva, Osip Mandelstam, and Andrei Bely. Even during the Soviet era, when the resorts were downgraded into drab sanatoria for the newly emerging proletariat, the peninsula retained some of its legendary, literary character. It was the most exotic corner of the USSR, a stage set against the waters of the Black Sea. Novikov knows that his mission as director is as much political as it is artistic. 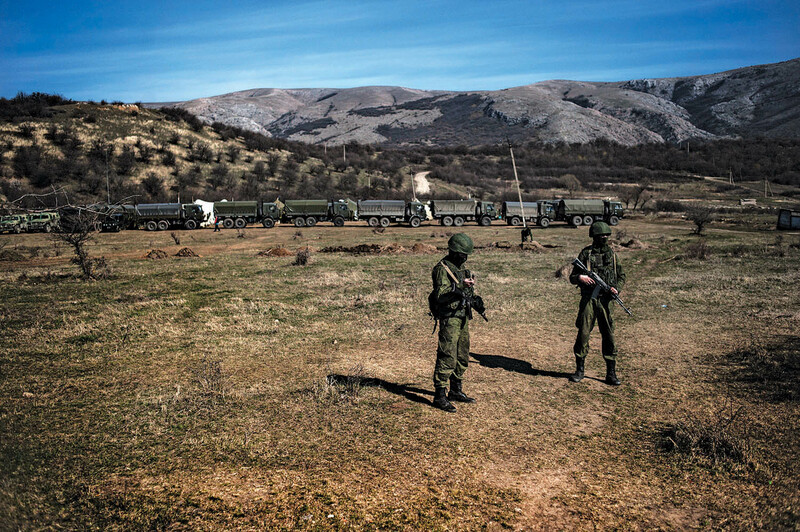 After all, it was Crimea’s close historical and cultural ties to Russia that became Putin’s strongest rationale for military occupation. “Everything in Crimea speaks of our shared history and pride,” he told Russians in a speech delivered in March 2014. In the nationalistic mindset, the fact that Pushkin, Tolstoy, and Chekhov had briefly resided in Crimea made it essentially a Russian province. By keeping that cultural tradition alive, Novikov’s theater helped strengthen conservative Russian identity, which arguably made the occupation possible. Standing in an immense and airy rehearsal room, Novikov looks assertively at his actors. They’re supposed to be working on a new production of Guilty Without Fault, by the nineteenth-century Russian playwright Alexander Ostrovsky, but no one seems to be in the mood. 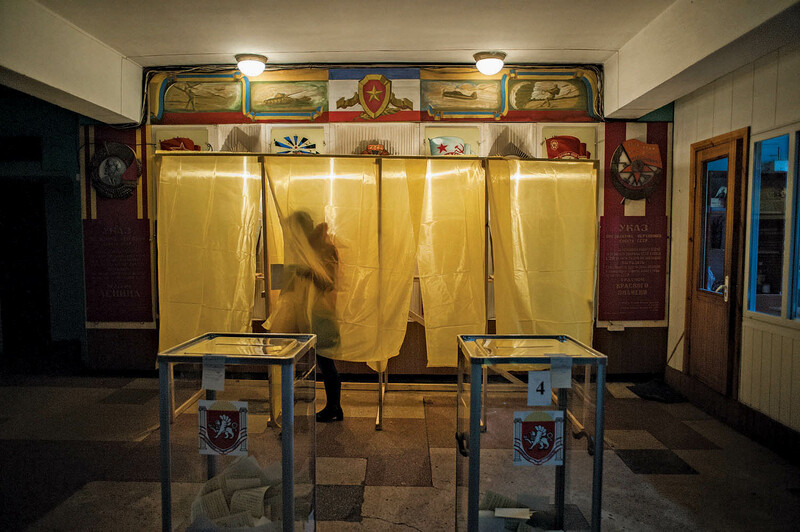 Instead, they’re all preoccupied with the upcoming March 16 referendum, which will determine whether Crimea stays in Ukraine or rejoins Russia. 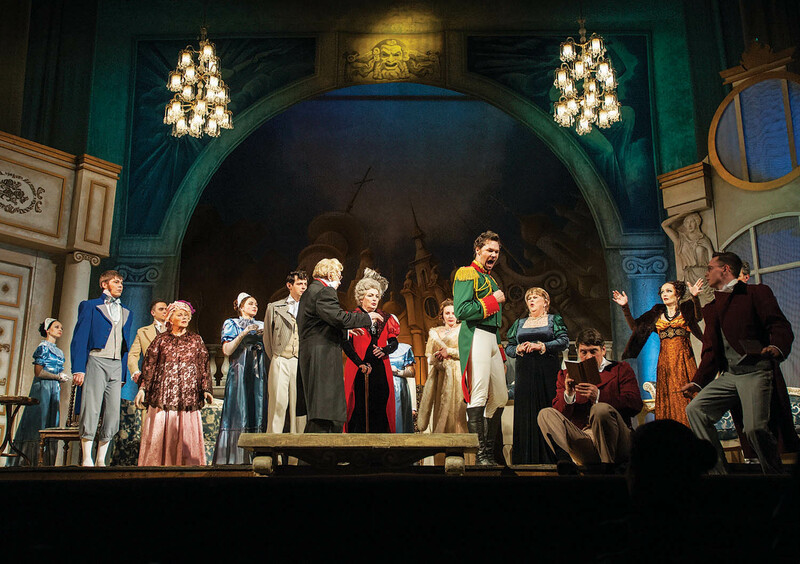 The actors stand in a semicircle around their director, murmuring approval—nearly all the members of the company consider themselves Russian, even though their passports are Ukrainian. Raised on a steady historical diet of Russian and Soviet greatness, their whole worldview is centered around Moscow, not Kiev. The proof is all around them. On one wall hangs a portrait of Konstantin Stanislavski, Russia’s most renowned theater director and later a darling of Soviet drama. On another wall is a large socialist-realist painting of a group of Simferopol actors who were executed by the Germans at the end of the Second World War for secretly aiding the Soviet government. There is, of course, occasional dissent among members of Novikov’s company. 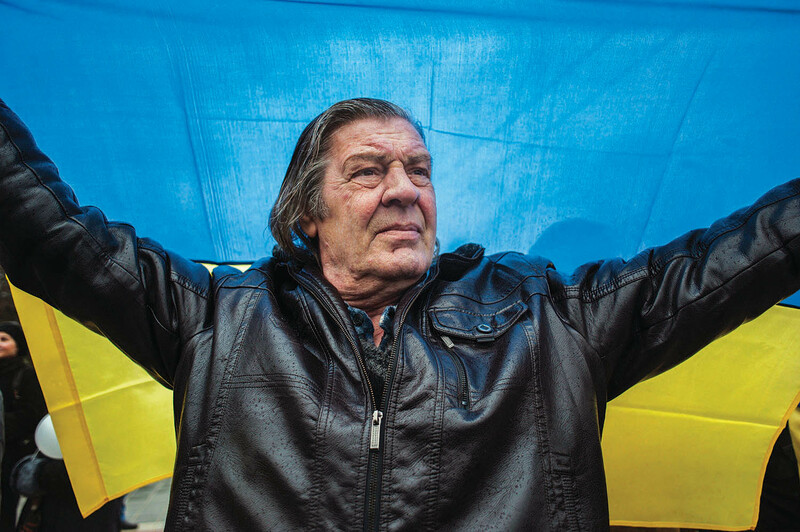 When the occupation began, one actor refused to live under Russian rule and simply moved to the western Ukrainian city of Lviv. During a break in Novikov’s speech, a young actress tells me that she doesn’t think joining Russia will do Crimea any good, and that she fears oppression. But those are isolated opinions, and even the bravest among the dissenters have been cowed into silence by Novikov’s uncompromising authority. A few days after the popular referendum in Crimea, in which more than 96 percent of voters chose to join the Russian Federation, people fill the seats at the Russian Drama Theater to watch a performance of Chekhov’s Uncle Vanya, which Novikov directed and in which he plays the role of Professor Alexander Serebryakov. It tells the story of a visit by the overbearing and cantankerous professor (a perfect character for Novikov) and his young and attractive wife, Yelena, to their country estate, where their presence causes much consternation and upsets the order of daily life. Most everyone here has certainly seen the play a number of times; they have studied it in school, written papers about it. They likely know some of the lines by heart. 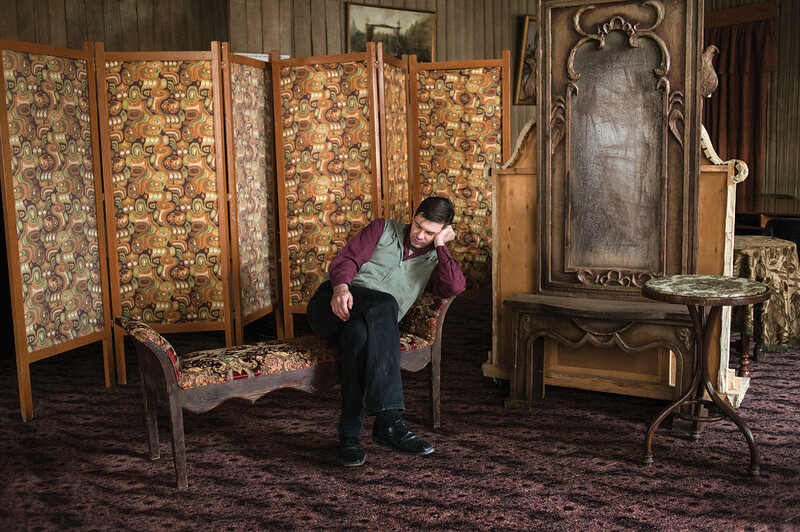 Novikov’s interpretation of Uncle Vanya does not strive for originality or novelty. The period costumes and set are conventional, the acting generally solid but full of pathos and emotional overreach, typical of a lot of classical Russian drama. It is a production rooted in the belief that theater should not innovate but preserve an inviolable tradition. 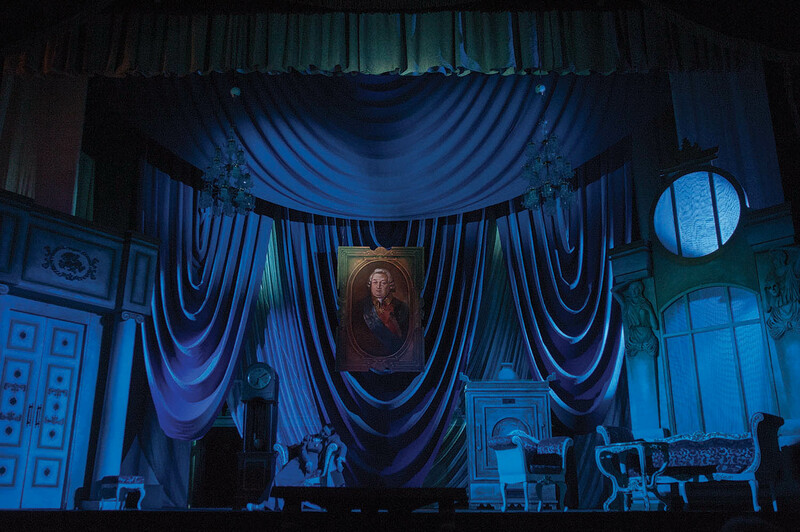 When the play ends, the house erupts into applause, and Novikov—dressed in a white wig, maroon jacket, and gray trousers—steps to the front of the stage, much more nimbly than his gout-ridden character. He signals for silence and clears his throat. “Our theater is 190 years old and has continued functioning under all kinds of governments, even under German occupation,” he says. “I’m very grateful to you that on the eve of joining Crimea to great Russia, you are here. Outside, in the warm night, the plum and cherry trees are already blossoming in flashes of white and pink. Everything seems peaceful. Only a few bored soldiers with automatic rifles stand guard on street corners. Reporting for this project was funded by the Pulitzer Center on Crisis Reporting. 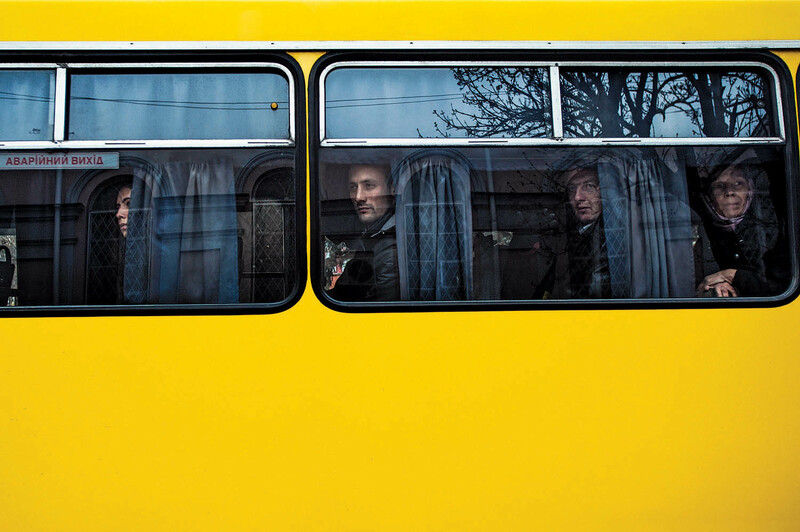 Boryana Katsarova is a freelance photographer specializing in documentary, editorial, and portrait photography. Her work has appeared in International New York Times, Le Monde, Foreign Policy, and Welt am Sonntag.